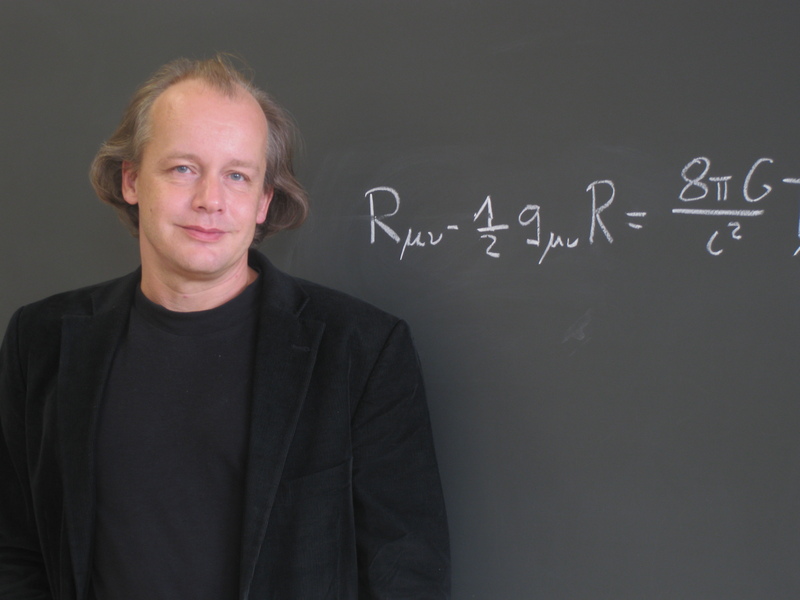 Professor for Theoretical Physics at the Institute for Theoretical Physics and the Albert Einstein Center for Fundamental Physics of the University of Bern, and Head of the Gravity and String Theory Group. Associate Professor at the Faculty of Science of the University of Neuchâtel (the Neuchâtel theory group having merged with the Bern group and moved to Bern in August 2008). If you are interested in writing your Bachelor or Master Thesis under my supervision (and you are a student at the UniBE), just get in touch with me. (However, there is no funding for this, and there is no such thing like research internships / summer projects here). Appearance in the SwissGerman SRF TV science show Einstein in the programme dedicated to the 100th anniversary of General Relativity (in German). 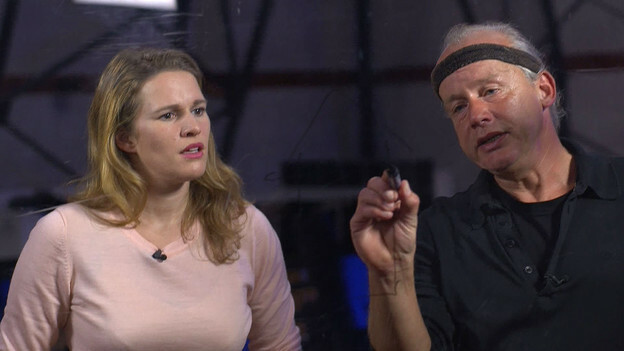 Picture (© SRF): Trying to explain the Equivalence Principle to moderator Kathrin Hönegger. at the Bernisches Historisches Museum.